If I had to choose my newest "specialty" or a dish my friends are craving more and more, I would without hesitation choose my rib tips. While in college and medical school, I discovered the rib tip at several of Chicago's well-established BBQ restaurants. I instantly fell in love with them and have ordered them all over the city. For those who don't know, rib tips are literally the ends of ribs that are cut off in order to make the classic racks of ribs look more uniform. So basically, you are getting amazing, high quality rib meat at "scraps" price. As a student, it is real easy to see why I ordered them every time. Cheap, tons of food, and high quality meat. If you have never had a rib tip, I highly suggest them. Just be aware, you may never order a rack of ribs again. First, always get that smoker up to temperature. I like to have mine run around 225-235 degreesF throughout the entire smoking process. While warming up, soak the wood chips in water for a minimum of 30 minutes. I usually soak the wood chips overnight. Prepare your own signature rub or you can purchase one at a store. About an hour before smoking, I would go ahead and dry rub the meat and allow it to get warmer than the fridge. Don't season too early or the salt will start drawing liquid out of the meat. 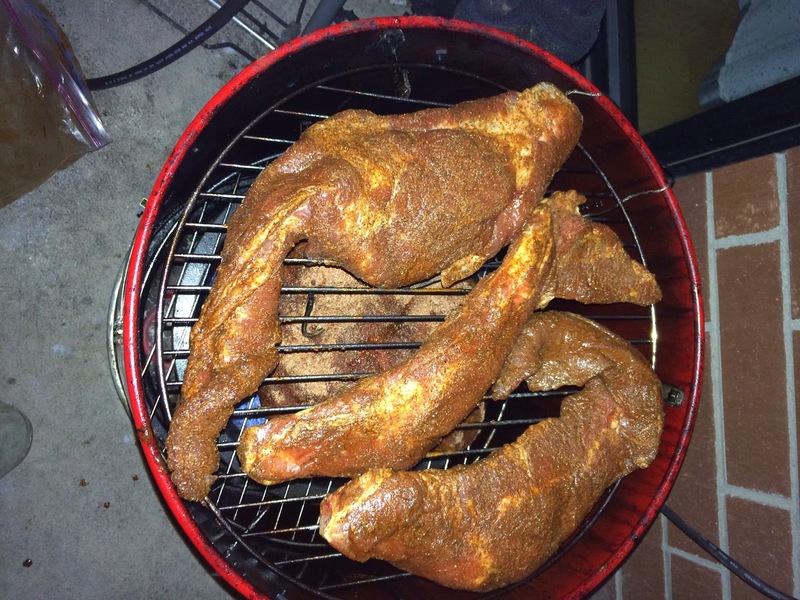 Once temperature hits the desired range, go ahead and place the rib tips in the smoker and cover. I like to use apple wood chips first to give the rib tips a little extra sweetness, which is complemented by the apple juice spray you will be using. Allow a heavy smoke to form. Spray with apple juice every time you add additional wood chips to the smoker. I use a 4-2 rule... a minor variation of the traditional 4-2-1 rib rule. The 4-2 refers to amount of time exposed to smoke and amount of time wrapped. What I do is I smoke the ribs with apple for about 2 hours and then switch to hickory for the last 2 hours... meaning 4 hours total of smoking. Then, I wrap the rib tips in aluminum foil with a mixture of brown sugar, honey, and apple juice and allow them to tenderize for 2 hours. After the 2 hours of tenderizing, the rib tips are cooked (no need to read internal temperature). If you want a charred look, go ahead and place the rib tips back in the smoker for a quick 10 minutes. Allow to rest for 15 minutes before cutting into small slices. Enjoy! - If you can't keep your smoker up to temperature (excessive winter weather, running out of wood chips, etc. ), you can do the tenderizing in an oven. Just set the oven temperature to 225-240 degreesF and allow to cook for the 2 hours. 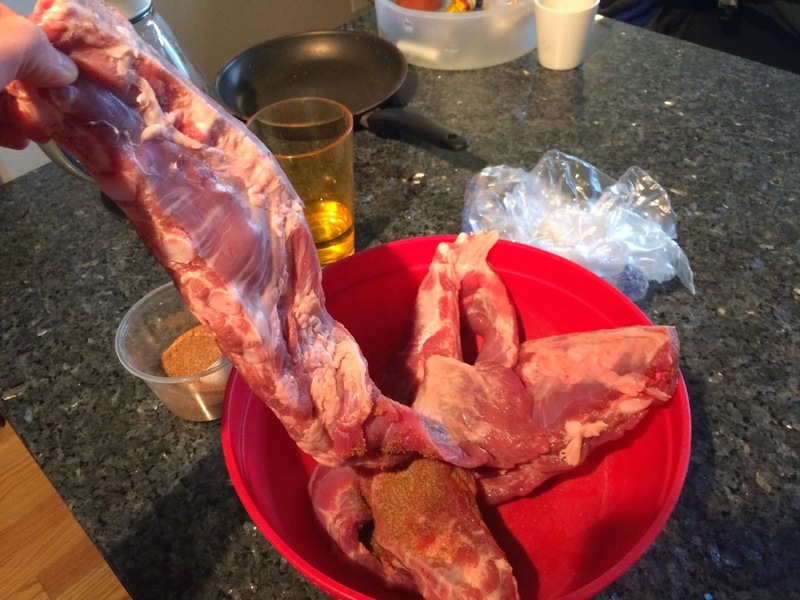 - I found trying to tenderize the rib tips for even 2 hours and 30 minutes was too much. They lost any remaining chew and actually fell off the cartilage/bone, which is over cooked for rib tips. - Pray for an amazing Smoke Ring to result! - Quickly make your own BBQ sauce. I prefer mustard base sauces, but any type is pretty easy to do. Very nice post. I glad to found your blog. Thanks for sharing. Impressive article. Thanks for sharing. Wonderful tips. This is helpful, Thanks for sharing.